The following Countertop Comparison Chart has been compiled to help you with your selection process by giving a general overview of the most popular countertop surfacing materials. 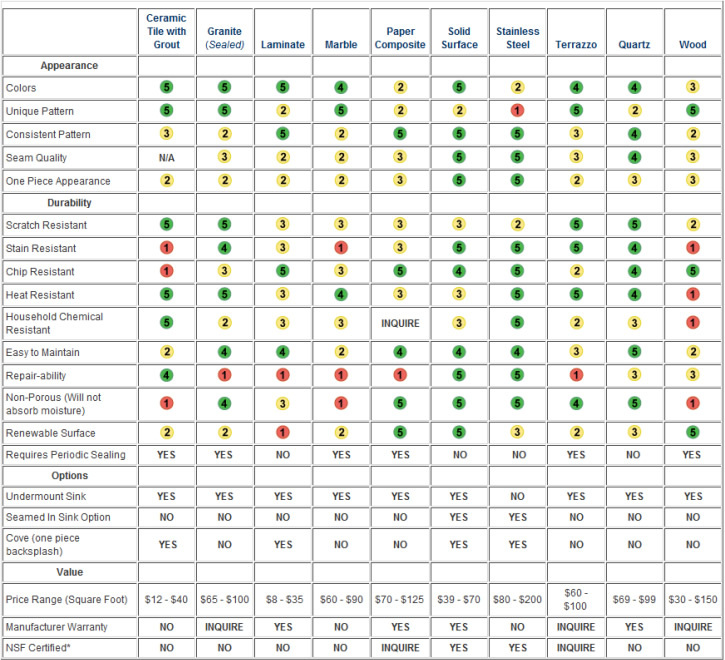 This countertop comparison chart is not a perfect analysis of all materials. Be sure to consult with one of our Design Experts to get more specific details on each of the countertop surface types.